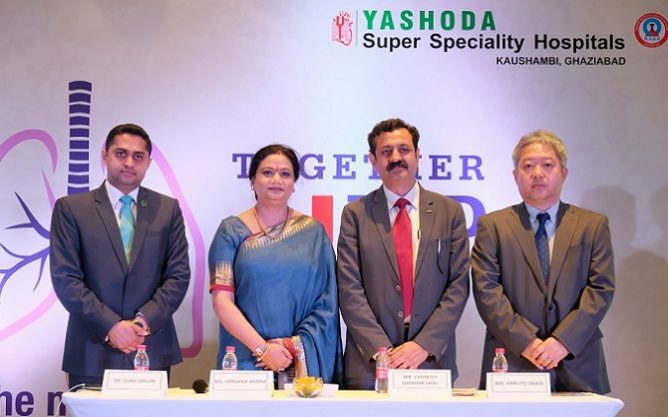 New Delhi: Fujifilm India, a leader in the development and application of imaging and information innovations in healthcare technologies, in partnership with Yashoda Super Speciality Hospital, Kaushambi, Ghaziabad, organized an awareness program ‘TOGETHER END TB’ to help eradicate tuberculosis in India. The event was held at New Delhi to mark the World TB day. According to WHO’s Global TB report, Tuberculosis is the 10th leading cause of death worldwide, and since 2011 it has been the leading cause of death from a single infectious agent, ranking above HIV/AIDS and claiming over 4000 lives a day. India has the highest number of TB cases in the world at 27% of the 10 million people who developed the disease in 2017 globally. The situation in India is primarily due to the patients suffering from undetected tuberculosis for too long; late detection of disease which increases their risk of transmitting the disease to others. While the burden of the disease is declining slowly worldwide, the progress in controlling disease and mitigating its consequences is extremely imperative in India. To expedite the cause, continuous and conscious efforts need to be taken for early diagnosis and treatment. Understanding this need, Fujifilm India looks to contribute towards the wellbeing of the people who are suffering from the disease and yet are unaware of its repercussions. The main objective of the program TOGETHER END TB is also to emphasize that incomplete or delayed treatment can lead to serious complications or fatalities. Fujifilm India in association with Yashoda Super Speciality Hospital, distributed 1000 coupons for free chest X- Rays and TB check-ups. The installation of the Fujifilm’s Digital Radiography System ‘FDR Smart f’ at the hospital will help in efficient workflow and excellent image quality for the better diagnosis of Tuberculosis. “Mapping the disease will help in predicting, preventing and treating a number of cases in the community. The collaboration will open up new possibilities and help in generating awareness among the masses” said Dr Sunil Dagar General Manager – Operations & Quality talking about the roadmap to deal with the problem.